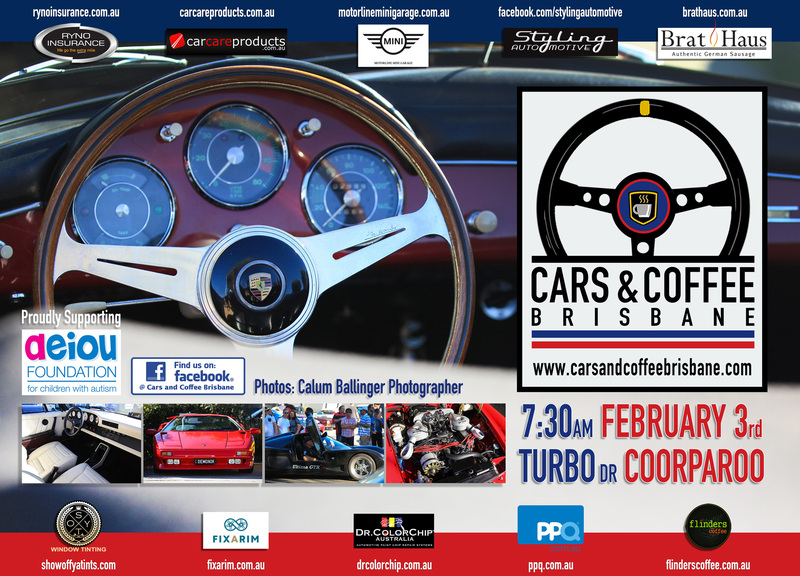 The next Cars & Coffee Brisbane will be held on Saturday the 3rd of February. Please join us in your special vehicle. We would like to thank our ongoing sponsors Dr ColorChip Australia, The Bratmobile, PPQ Personalised Plates Queensland, Styling Automotive, Show off ya Tints, Ryno Insurance Services Pty Ltd, Car Care Products, Flinders Coffee, Motorline MINI Garage & Fixarim Pty Ltd for their support. If your company would like to sponsor C&C in 2018, please message us. **Please do not park at The Bone Clinic at 26 Turbo Drive, The Florist at 54 Turbo Drive, Theatre & Dance at 21 Castlemaine St or Fort Knox Storage at 1/8 Castlemaine St.** Also, if you are a spectator & not driving a display vehicle, could we kindly ask that you don’t park in the main precinct.